Birds and snails in the upland areas of the park are going to enjoy two consecutive years of low rat numbers, thanks to last year’s aerial predator control. Monitoring results show, that in August this year (nearly a year after the October aerial predator control operation), rats above 600m altitude were still tracking at less than 10%. Experts say this is a level below which native bird species will be largely relieved of predation pressure. These low numbers should continue through spring, meaning birds in the upland areas will have two breeding seasons free from rat predation, when they are most vulnerable. 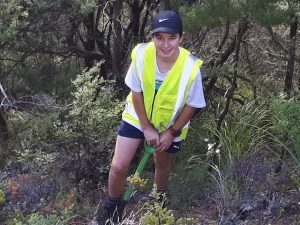 “This result gives native birds within the upper reaches of the park a real reprieve from pests and it should hopefully enhance breeding and nesting success over the coming spring months. 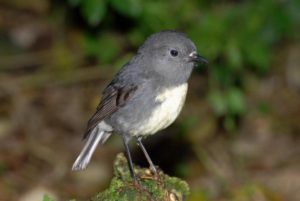 In time we expect to see a gradual expansion of the upland birds like toutouwai/robin to the coast so more park visitors will see them,” says DOC biodiversity ranger Sian Reynolds. The prolonged low numbers is also great news for the threatened snail species in the area Powelliphanta Hochstetteriand Rhytida oconnori. With predictions of a beech mast this summer we are now looking at what will be the best methods of predator control to undertake in 2019 to protect native birds in the park.